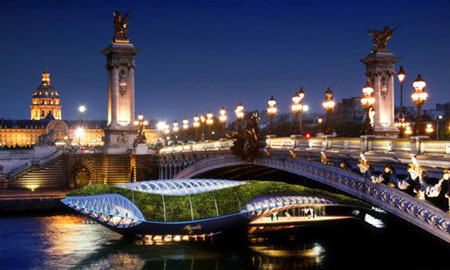 Clean waterways are now in danger anywhere in the world is. 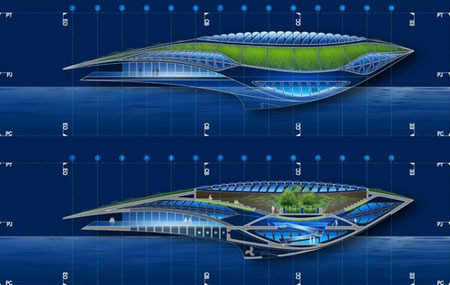 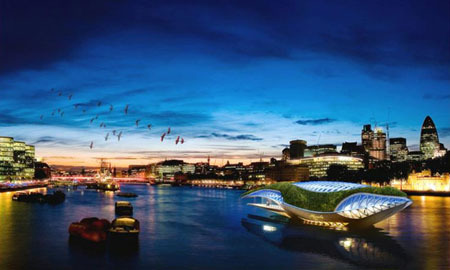 With the aim to meet the needs of maintain a sustainable management of water resources especially in Europe, Vincent Callebaut Architectures designed the Physalia, a prototype of an amphibious garden. 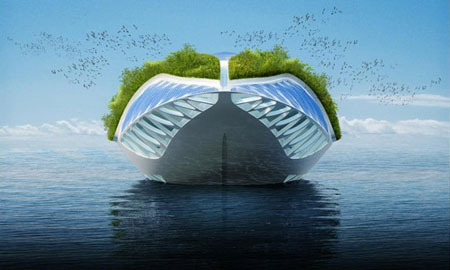 The Physalia is a floating agora that is designed to clean the waterways in Europe. 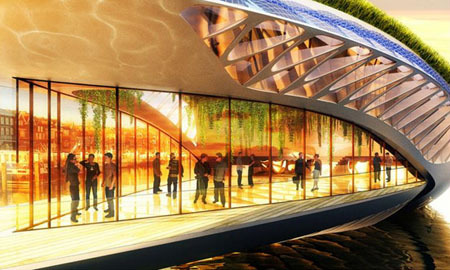 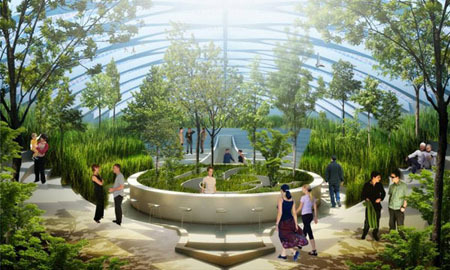 Aside from its use of cleaning the waterways, the Physalia itself is earth friendly as well, for its roof contains a double pneumatic membrane with photovoltaic solar cells. 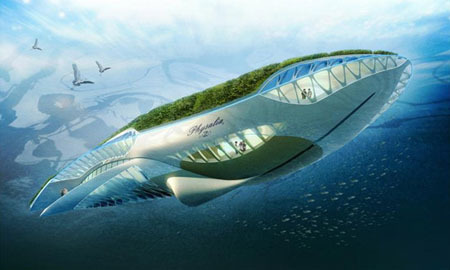 The physalia’s hull on the other side has hydro-turbines that provides hydro-electricity by transforming the fluvial stream’s energy.